Even though it is not the capital of Australia, Sydney is definitely the most visited city in the country. 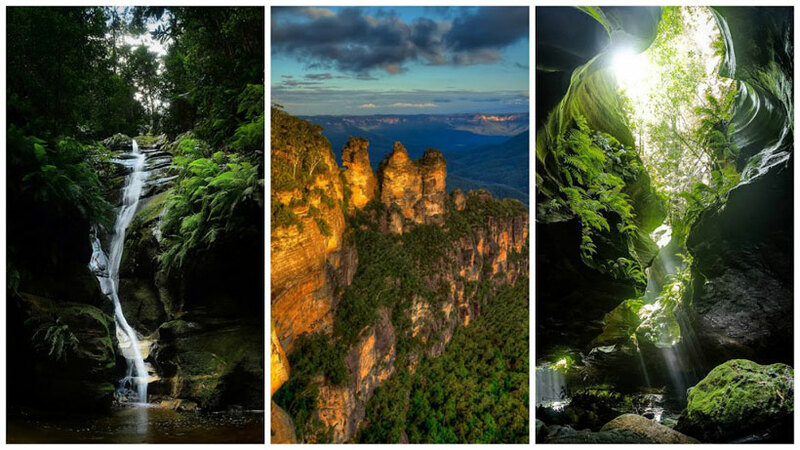 There’s little to no surprise here, since Sydney offers a great range of attractions and sights to see. The city with the biggest number of beaches is sure to leave anyone speechless. While Bondi Beach is definitely the most famous one, visiting other beaches (such as Manly) provides the wonderful view of Harbour Bridge and grandiose Opera House. Coastal walks and various opportunities to learn how to surf are just some of the possibilities that this place has to offer to the tourists. And trust me when I tell you this – my second visit to this city was definitely more than I hoped for. After the first time I thought that I’ve seen it all – the places and sights that all the travel guides mention. But thanks to my friend, whom I stayed with during the weekend on my second visit, I managed to get to know the essence and true beauty of Sydney. Can you imagine anything better for the start of your weekend than a nice meal facing the harbor and Opera House? Delicious battered fish & chips filled our stomachs and got us ready for the next stop. Since the Circular Quay is the central station for going anywhere in Sydney, I must say it was pretty difficult to decide where to go. Ladies will be ladies and, of course, we couldn’t pass the opportunity to visit the best shopping places in Sydney. I found some interesting clothing bits and pieces in Clothing Planet, Zara and Alex Perry’s Store and beautiful jewelry and makeup accessories. 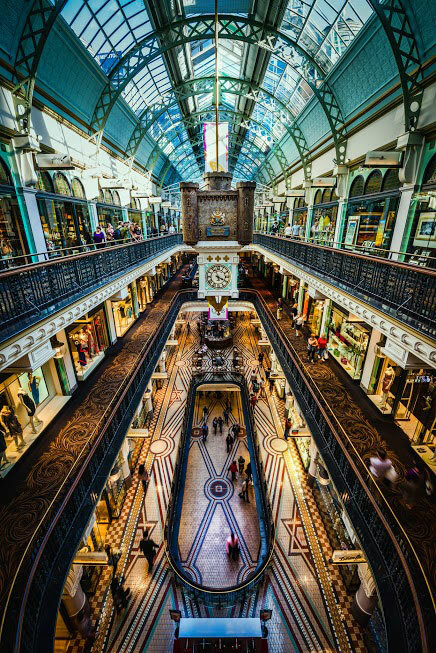 The shops in Pitt Street and Queen Victoria’s Building almost made me forget that the weekend had just begun, and that I would need the money later on as well. After spending a good part of the day shopping, we decided to relax on some more secretive Sydney beaches. They are not really a secret, but they are more reserved for locals to enjoy. And do they know how to enjoy! 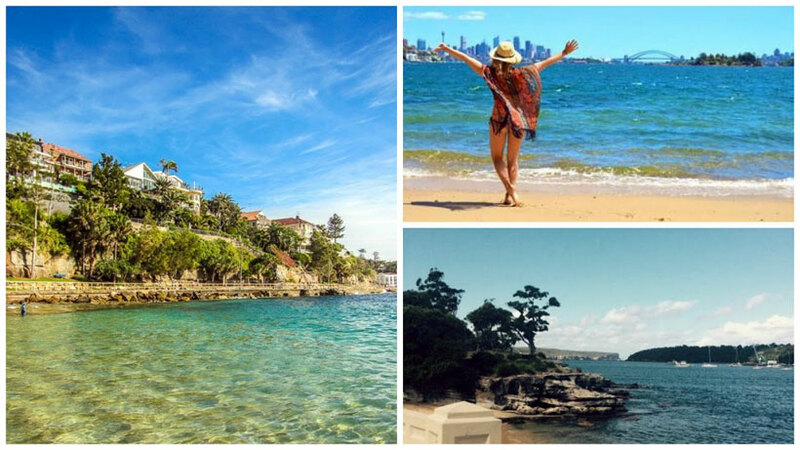 While Bondi Beach blew me away the last time I was in Sydney, I couldn’t even begin to describe the peacefulness and picturesque nature of Shelly Beach, Chinaman’s Beach, Balmoral Beach, Redleaf Beach and Milk Beach. For a perfect end of the perfect Saturday, we decided to have a picnic at Milk Beach, after which we took a walk along the Hermitage Foreshore. 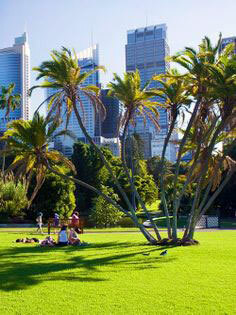 On Sunday morning we went to the Circular Quay again and, from there, decided to go to the Royal Botanic Gardens. A great choice really. I feel like I have never seen so many various kinds of plants and trees in my life. Since it was a sunny day, we completely surrendered to soaking up the warmth and calming scents of exquisite flora. The end of a perfect weekend had to be something special. While we were still filled with energy from Botanic Gardens we naturally moved to Blue Mountains. If I could live in this national park, I would. We hiked for hours along the paths and admired the view of the valley, rock formations and breathtaking waterfalls without feeling tired at all. Finally, we witnessed the stunning sight of the Three Sisters rock, bathed in sunset colors. No one can stay indifferent to Sydney’s charms. Even if your stay is short, you are bound to become the part of never-ending energy that simply flows from people, astonishing buildings, good atmosphere and great food of this city. Those that are lucky enough to have the opportunity to stay for a longer period of time, can check some of the other great sights and attractions at this link. This place will never disappoint you.